I'll discuss latest results on clustering of galaxies on scales from 100 kpc to 100 Mpc in the Baryonic Oscillations Spestroscopic Survey (BOSS). Results are compared with predictions of the LCDM model. The growth of black holes over billions of years releases energy that may quench star formation ("feedback"). Tracing the cosmic history of black hole growth with multiwavelength surveys, we find that most AGN are heavily obscured and that obscuration is more common in the young Universe and in low-luminosity AGN. Most black hole growth takes place in moderate luminosity AGN rather than quasars, and feedback in these systems affects far more galaxies than do quasars. At z~1��2, we see evidence that AGN may help quench star formation (which is not the case at z~0). Perhaps surprisingly, most moderate luminosity AGN are hosted in disky galaxies, out to z~2, suggesting that major mergers do not trigger most black hole growth. 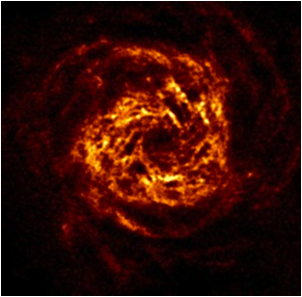 Finally, we find an intriguing dependence of AGN activity on host galaxy morphology which is not yet fully explained. The hunt for physics beyond the standard model at the LHC is in full swing. We already know of the existence of (at least) one new particle that is not in the standard model, dark matter. The existence of dark matter was first inferred from astrophysical observations and later confirmed by cosmological measurements. There is considerable ongoing effort to see the effects of dark matter, which makes up the majority of the matter in our galaxy, in a more terrestrial setting. I will outline what is, and what is not, known about dark matter, and explain how we may soon learn a lot more, as well as explaining how the conventional search methods can be complemented by searches at the LHC, and elsewhere. The search for Dark Matter represents one of the most intriguing open frontiers in modern cosmology and astroparticle physics. The science case is extremely strong: observations of the cosmic microwave background fluctuation, large-scale galaxy surveys, studies of large scale structure formation and of the dynamics of galaxy clusters, all point to the existence of cold dark matter. 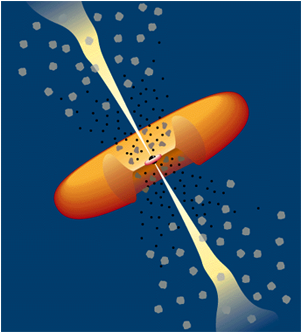 Weakly Interacting Massive Particles (WIMPs) are an excellent candidate for cold dark matter. 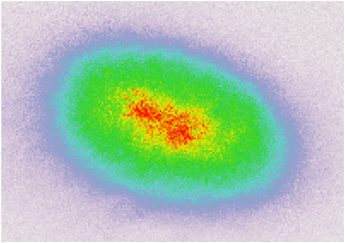 These particles, predicted in many new theories extending beyond the standard model, may collide with ordinary nuclei via ultra-weak interactions, and could be detected by means of special, low-background detectors, capable of selectively identifying nuclear recoils - the likely signature of WIMP interactions. I will present and discuss the DarkSide Project for direct dark matter detection. The use of depleted argon as a target in a two-phase time projection chamber, coupled with a powerful neutron veto based on the Borexino technology, results in a unique detector, capable of achieving background-free conditions. 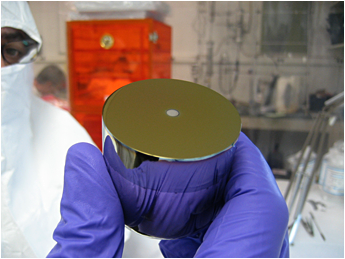 DarkSide-50 is the first detector in the DarkSide program, featuring an active mass of 50 kg of depleted argon. It is designed to reach a sensitivity to the WIMP interaction cross section of 10^-45 cm^2 and will be deployed at Laboratori Nazionali del Gran Sasso in Italy in 2012. While dark energy explains the apparent acceleration of the universe, its properties and nature remains a complete mystery. Measurements of the growth of structure are affected by dark energy in a fundamentally different way than distance-redshift based tests, such as from type Ia supernovae and baryon acoustic oscillations. This makes them useful to break cosmological parameter degeneracies, reduce systematic uncertainty, and are an important systematic test of the standard dark energy paradigm. I will present the most recent cosmological constraints from the South Pole Telescope (SPT), and discuss the role of multi-wavelength cluster observations, primarily through Chandra X-ray and optical weak lensing observations, in improving the dark energy constraints for the full SPT cluster survey. I will also discuss the role of these observations in helping to understand the formation and evolution of massive clusters, and their relevance to future cluster surveys, such as the Dark Energy Survey. Finally, I will discuss the next frontier for CMB experiments of using the lensing of the CMB to measure the growth of structure, the technological challenges for the next generation of experiments, and their projected constraints on dark energy, neutrino mass, and the energy scale of Inflation. The LHC guarantees to grant us insight into the origin of electroweak symmetry breaking. When combined with precision cosmological data, this will allow for a partial reconstruction of a new rung in the historical ladder of early universe cosmology, particularly regarding how the universe transitioned from the electroweak symmetry preserving false vacuum to the true vacuum that we live in today. In addition to the electroweak phase transition, I examine what other phase transition related information we may hope to obtain in the foreseeable future. The topics discussed from this perspective will include electroweak baryogenesis, dark matter, dark energy, gravity waves, and the implications of the recent hint of the Higgs boson at 125 GeV. Stars realize a variety of physical conditions inaccessible in the lab. Various stages of stellar evolution are influenced by microphysical processes that are sensitive to the fundamental properties of elementary particles. This makes it possible to use stars to search for new particle physics beyond the Standard Model. I will show some examples of resulting bounds, including scenarios with neutrino magnetic moment, extra space-time dimensions, and axion particles. As a particularly amusing example of conditions that cannot be reproduced in the lab, I will discuss the phenomenon of collective oscillations of neutrinos streaming out of the supernova core. Just three years ago the prospect of finding temperate, rocky worlds around other stars was still the subject of science fiction: none had been found and reasonable estimates put us years or decades away from such a momentous discovery. All of that has changed very recently on the heels of the extraordinarily successful NASA Kepler mission. 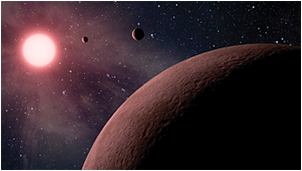 By searching for the tiny diminutions of starlight indicative of an eclipsing planet, Kepler has produced thousands of new planet candidates orbiting distant stars. Careful statistical analyses have shown that the majority of these candidates are bona fide planets, and the number of planets increases sharply toward Earth-sized bodies. Even more remarkably, many of these planets are orbiting right "next door," around tiny red dwarf stars, several of them residing the the Goldilock's zone where temperatures are amenable to the existence of liquid water. I will describe our multi-telescope campaign to validate and characterize these micro planetary systems, and present some early, exciting results that point the way to the first detection of the first Earth-sized planet in the habitable zone of a star. The potential importance of quasar outflows on the growth of super-massive black holes, enrichment of the intergalactic medium, evolution of the host galaxy, cluster cooling flows and the luminosity function of quasars has been widely recognized. I will briefly review these theoretical developments and describe the efforts of our research group, and others, to determine the most relevant parameter for these models: kinetic luminosity of observed quasar outflows. Inflation has emerged as the leading model for the very early universe, not least because of the theory's remarkably successful prediction for the form of the CMB anisotropy. I ask the question: is inflation the only way to match the data? If not, what do the possible alternatives look like? Early universe cosmology is entering a new phase thanks to more precise measurements constraining the primordial density inhomogeneities. The Planck satellite and current and near future Large Scale Structure surveys are pursuing statistics of the inhomogeneities beyond the well-measured power spectrum. The potential of these new statistics has changed the way we think about theories of the primordial universe, including inflation. I will present the current understanding of how new data may decode the particle physics of inflation and provide more compelling tests of the theoretical framework for the primordial universe. The Laser Interferometer Gravitational-wave Observatory (LIGO) and its sister project Virgo aim to achieve, within this decade, the first direct detection of gravitational waves and tune in to the gravitational-wave soundtrack of the Universe. The information from gravitational waves, complementary to the multi-wavelength electromagnetic spectrum, neutrinos and cosmic rays, will contribute to a more complete, understanding of some of the most violent and energetic events in the universe, such as gamma-ray bursts, soft-gamma repeaters, supernovae, and glitching pulsars. In this talk I will give an overview of ongoing efforts towards the realization of this new gravitational wave astrophysics, and of how electromagnetic and neutrino observations and the theoretical understanding of source dynamics are coupled into gravitational wave analysis. I will present selected results from the initial generation of LIGO and Virgo data and outline prospects for discovery in the advanced detector era, with particular focus on transient signatures. Dark matter halos are the fundamental building blocks in the growth of structure and they provide the framework for our modern understanding of galaxy formation. I will discuss the current state of the art in our understanding of the connection between galaxy properties and their dark matter hosts over a range of masses and redshifts. In the context of a given cosmological model, I will show how the galaxy-halo relation can be tightly constrained at low redshift, and how it can be used to infer the full star formation histories of galaxies. This model for the co-evolution of galaxies and LCDM halos is in excellent agreement with a wide range of data, including the evolution of the stellar mass function, galaxy clustering statistics, and the statistics of satellites around Milky Way mass hosts. I will discuss applications to several issues in cosmology, including modeling of the faintest dwarfs and extracting cosmological constraints from the largest galaxy surveys. Much observational work has focused on measuring the star formation rate in galaxies and its cosmic evolution. However, the supply rate of fuel for star formation (cold dense gas), the internal processes that regulate its conversion into stars, and the feedback processes that regulate star formation, all remain poorly understood both theoretically and observationally. I will discuss recent attempts to build more sophisticated theoretical models to predict the multi-phase gas content of galaxies, which in particular will allow us to make connections between galaxies as observed via stellar emission, emission in CO or HI, and in absorption. Could the late-time acceleration of the Universe and the apparent discrepancy with standard particle physics be the first sign of the breakdown of gravity at very large distances? This is the question I will explore within the context of massive gravity. Whilst massive gravity is one of the earliest and most natural generalization of General Relativity, its fully consistent formulation was only unraveled recently. After discussing its realization I will explore its phenomenological implications, both on cosmological scales than within the solar system. The Super-Kamiokande detector, shown here, is roughly 40 m in all directions. At any instant, it contains 10-100 neutrinos that were born in core-collapse supernovae across the cosmos. Can you spot them? Look for the red-and-white-striped sweaters. The diffuse supernova neutrino background (DSNB) is the weak glow of MeV neutrinos and antineutrinos from distant core-collapse supernovae. The DSNB has not been detected yet, but the Super-Kamiokande upper limit on the electron antineutrino flux is close to predictions, now quite precise, based on astrophysical data. If SK is modified with dissolved gadolinium to reduce detector backgrounds, then it should detect the DSNB at a rate of a few events per year, providing a new probe of supernova neutrino emission and the cosmic core-collapse rate. Neutrino astronomy, while uniquely powerful, has proven extremely difficult - only the Sun and the nearby Supernova 1987A have been detected to date - so the promise of detecting new sources soon is exciting indeed. 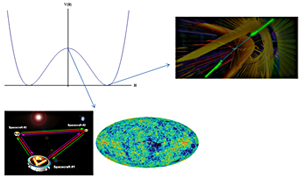 Gravitational lensing of the temperature and polarization anisotropies of the CMB is rapidly emerging as a new cosmological tool. Current experiments (as an example, I will focus on the South Pole Telescope) are using this effect to make mass maps over large areas. 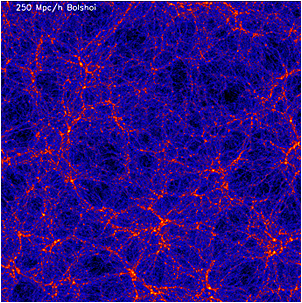 The power spectra of these mass maps allow new constraints on cosmological parameters, while the maps themselves can be cross-correlated with other tracers of the mass distribution to better understand the connections between mass and light. Weak-scale supersymmetry has long been a dominant paradigm for physics beyond the standard model and particle dark matter, but it is now being challenged by a wealth of experimental data. 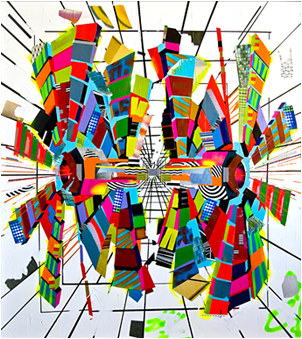 I will begin by reviewing attempts to quantify naturalness in supersymmetry, stressing the many subjective choices that impact the results both quantitatively and qualitatively. I then summarize experimental results that most directly challenge weak-scale supersymmetry, including recent results from the LHC. 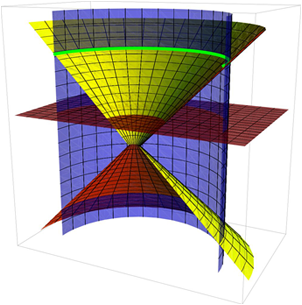 Some models are excluded or under great tension, while others remain perfectly viable. For the latter, I will outline the key features, current status, and implications for colliders and dark matter searches. When I last spoke to the department in the fall of 2009, I gave an overview of several "work in progress" projects on strong lensing by galaxy cluster- and group-scale halos. In this 2012 update I will highlight the outcomes of these projects, focusing on three major themes: arc counts, the properties of lensing halos, and the lensed Universe. In the past few years, we have shown that, contrary to prior work, arc counts are in approximate agreement with theoretical expectations; the critical measurement to resolving this tension has been our measurement of the lensed source redshift distribution. In several related papers we have also measured the halo concentration distribution for large samples of lensing clusters and have shown that the previously dramatized 'over-concentration' problem in lensing clusters is at best about a 2-sigma effect. Parallel studies targeting the lensed background sources have revealed a wealth of new data on distant galaxies, probing new regimes of galaxy mass and star formation rates untouched by deep blank-field surveys, and revealing the detailed properties of individual galaxies with exquisite detail. The Giant Magellan Telescope and the James Webb Space Telescope may grant us the opportunity to study the atmospheres of potentially habitable worlds orbiting nearby stars. There is only one problem: We don't yet know at which stars we should point these observatories. Using data from the NASA Kepler Mission, we can deduce the distance within which we can expect a few such worlds, and hence the observational effort that will be required to characterize them. It appears extremely likely that the nearest systems will orbit low-mass M-dwarf stars, which is fortunate as the small physical sizes and low-luminosities of the stars permit novel ground-based detection schemes that are not feasible for Sun-like stars. The MEarth Project is an array of automated telescopes that survey several thousand of the closest and least massive stars to search for transiting planets. In pursuit of this quest, MEarth has informed our understanding of the physics governing the structure, evolution, and rotation of the most common stars in the galaxy. We know that most of the matter in the Universe is Dark Matter, but we don't know what Dark Matter is made of. Current and upcoming detectors have the sensitivity to detect or exclude Weakly Interacting Massive Particles (WIMPs) as candidates for Dark Matter. In this talk, I will review the basics of the direct search for WIMPs and give a quick overview of the current status of the field. The XENON100 experiment in particular is a leading experiment in this search and will be presented in some detail, together with recent results from a search in 225 live days of data. An outlook on where we are headed in the next few years will be given. Sakharov oscillation, conventionally discussed in the context of early universe evolution and the anisotropy of cosmic microwave background radiation, is the manifestation of interfering acoustic waves generated in an ideal fluid. 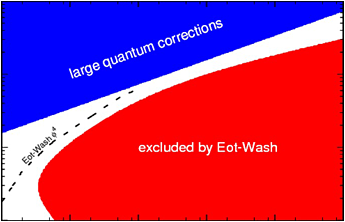 We report a laboratory observation of Sakharov oscillations in a quenched atomic superfluid. We quench the interactions between atoms and monitor the subsequent density fluctuations at different time and length scales. Sakharov oscillations are identified as the multi-peak structure in the density power spectrum, resembling that of the cosmic microwave background radiation. I'll present an update on the status of dark matter direct detection experiments, with particular emphasis on details that the non-experimentalist may ignore, or the experimentalist may hide. I will also focus on local activities in this area (COUPP, CoGeNT, DAMIC, and dedicated calibration experiments for a number of target materials). 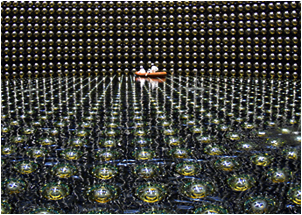 With the advent of advanced gravitational wave interferometers and high energy neutrino facilities within this decade, the prospect of searching for their electromagnetic counterparts is promising. I discuss the challenge of poor sky localization, and present a simple solution that leverages the sensitivity limit to the local universe. Next, I discuss the rapidly growing inventory of transients in the local universe. Until recently, the framework of cosmic explosions was plagued with a glaring six-magnitude luminosity "gap" between the brightest novae and faintest supernovae. Systematic synoptic surveys, serendipitous discoveries and archival searches have started uncovering transients fainter, faster and rarer than supernovae only in the past few years. There is now evidence of multiple, distinct populations of rare transients in this gap. Each new class can illuminate a missing piece in our understanding of stellar evolution. Here I present discoveries and unique physics of transients that bridge this gap between novae and supernovae. The observed cosmic acceleration hints at a low-energy modification to General Relativity which could give rise to fifth forces and new particles. After describing f(R), chameleon, and symmetron models, I will discuss constraints on the resulting fifth forces from laboratory torsion pendulum experiments, the stability of stars, and the dynamics of large-scale cosmic structure. In particular, laboratory experiments are on the verge of testing interesting classes of chameleon and symmetron fifth forces. I will also show how new particles predicted by these models, which might be produced through photon interactions in stars or the laboratory, can be used to constrain modifications to gravity. The geometry of transiting extrasolar planets provides rich scientific opportunities to probe their atmospheres using photometric and spectroscopic techniques. These techniques include detection of thermal emission at secondary eclipse using Spitzer and ground-based infrared detectors, as well as transmission spectroscopy using both the NICMOS and WFC3 instruments on Hubble, and ground-based telescopes as well. I will give my version of the current "scorecard" for exoplanetary spectroscopy, describing those results that I believe to be robust, versus those that are questionable, and I will show new results from Hubble WFC3 that promise to resolve some outstanding issues. In the future, we look forward to exoplanetary spectroscopy using JWST, and to a major role for the new generation of extremely large ground-based telescopes. The distribution of gas around galaxies - the circumgalactic and intergalactic media - contains signatures of key processes of galaxy formation such as outflows and accretion, and may account for the majority of baryons in the Universe. Absorption-line spectroscopy is a powerful tool to probe gas properties. SDSS has obtained spectroscopy for ~200,000 quasars, providing a perfect dataset for statistical analyses of absorption lines. I will introduce the new techniques we have developed to model quasar spectra and detect absorption lines. 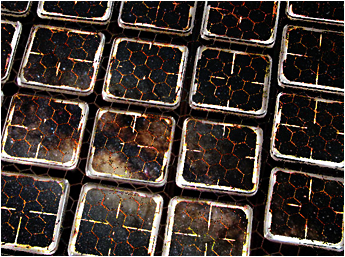 With these new tools, we have compiled a metal absorber catalog of ~50,000 systems. I will present a statistical analysis of these absorber systems and discuss implications for gas flow processes. In addition, our results allow us to measure the Galaxy-Gas correlation out to Mpc scales, linking the gas properties of individual galaxies to their large-scale environment. Many Chicago astronomers have used the FIRE spectrometer, an infrared echelle instrument on the Magellan/Baade telescope which has now been in operation for 2.5 years. One of my group's main scientific motivations for building FIRE was to observe heavy elements in quasar absorption spectra at the highest possible redshifts. In this colloquium I will report on new science and discoveries about the z ~ 6 universe that have resulted from FIRE's early operations. These include a new survey of circum-galactic metal pollution seen in MgII - previously only characterized at z < 2 - out to z=5.5. Also, we have substantially improved constraints on the CIV mass density and intergalactic carbon enrichment at z = 5.0-6.5. Finally, I will describe our first measurements of chemical abundances in the z > 7 universe, and discuss their significance for reionization and the formation of the first stars.